The Armed Forces of the Philippines (AFP) on Sunday said a total of 61 Maute Group terrorists has so far been killed in Day 5 of the ongoing military operations in Marawi City. In a statement, AFP spokesman Brig. Gen. Restituto Padilla disclosed that of the total number of Maute Group members killed, 42 bodies were recovered while 19 were confirmed killed by eyewitness accounts. He added that as of 2 p.m. Sunday, the government suffered 15 killed in action (11 from the AFP and four from the PNP). The number of wounded is still being updated. Padilla said as of Friday, the number of those wounded stood at 39. He added that troops on the ground also recovered 24 high-powered firearms (HPFAs) during the last 24 hours of military operations. 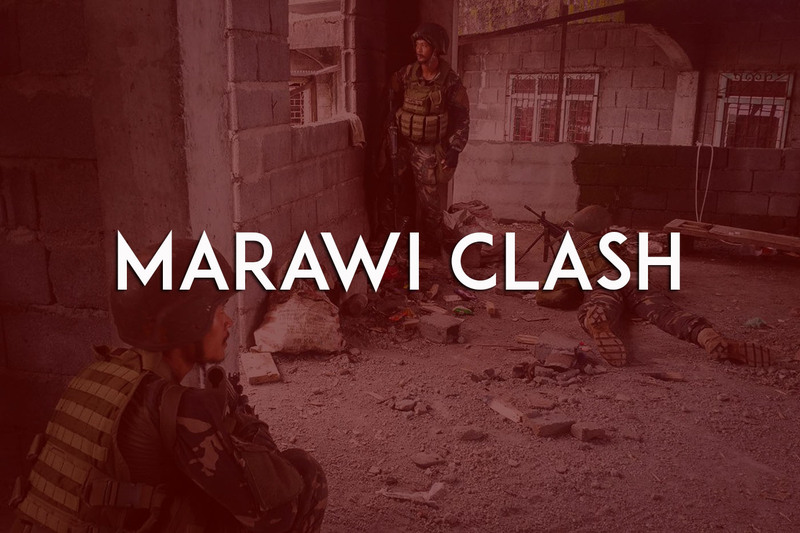 The AFP focus continues on safely clearing Marawi of terrorist elements still held up within pockets of the city. Priority of ongoing military action is likewise aimed at aiding residents who are still trapped in the city’s interiors,” Padilla said. “Significantly, we have successfully rescued and assisted 124 trapped civilian residents since the start of the operations,” he added. Padilla said also recovered 300 meters outside of MSU and along a roadway were eight dead bodies of civilians who were mercilessly killed by the terrorists. He said these consisted of four males, three females and a child. “This development validates a series of reports of atrocities committed by the militants earlier. We are still validating other reports of atrocities by militants. To date, we have confirmed nine civilians killed by militants,” Padilla said. “Precision airstrikes and artillery fire will likewise continue at specific targets to hasten the clearing,” he added. Meanwhile, Padilla said that both the AFP and the PNP belie reports of checkpoints being conducted by uniformed elements without badges or identifications. He said checkpoints follow strict protocols and are strictly complied with. These reports if true, may be of unauthorized armed elements and should be discretely documented and reported. We have issued orders to our forces to ascertain these reports and deal with it,” Padilla said. “He shall continue to provide updates as information comes in from the field,” he added. Padilla said regarding developments pertaining to IDPs and evacuees, media may refer to the Office of Civil Defense (OCD) and their provincial/municipal counterparts.